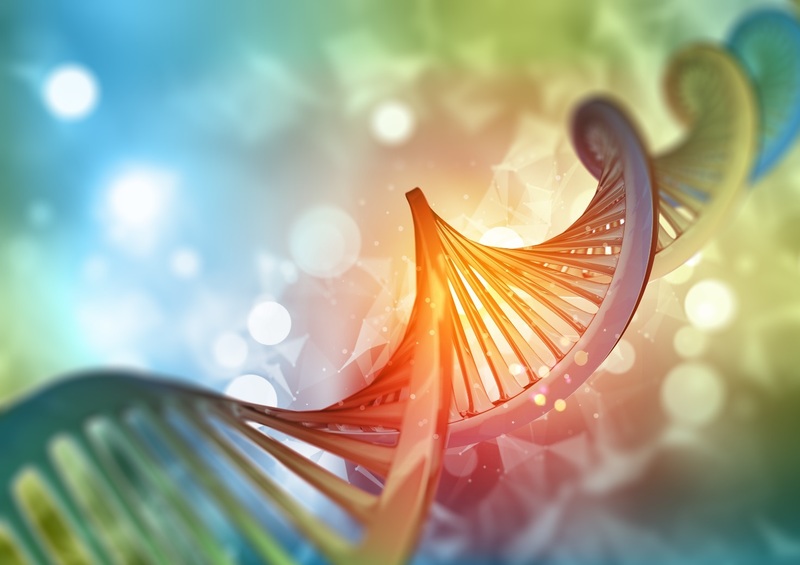 Direct PCR (dPCR) is a method of DNA amplification directly from an animal or plant tissue sample without performing DNA isolation and purification steps. This technique greatly reduces experimental time, and cost in genotyping and high-volume projects. It also provides a better option when faced with the challenges of amplifying a very small quantity of sample where the purification step could potentially lead to sample loss. 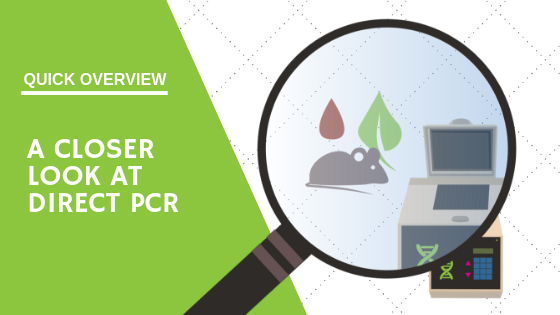 In many ways, dPCR works like conventional PCR. Both techniques depend on template DNA, primers and a master mix or PCR reagents, and both use a thermal cycler for amplification. The primary difference between dPCR and conventional PCR is the tailored buffers used in dPCR. The modified elements of dPCR enable robust amplification despite the presence of PCR inhibitors often found in crude samples. Several papers have been published describing dPCR techniques and modifications of those techniques given special circumstances. “A rapid and inexpensive method for the direct PCR amplification of DNA from plants” provides excellent detail about experimental setup under usual conditions. Kits are another avenue to dPCR. Direct PCR kits have the advantage of really simplifying the process and shaving off a lot of time. This is because kits do not involve the amount of preparation dPCR requires. Many techniques for dPCR (dPCR performed without kits) involve buffer and media preparation, mechanical disruption, and reagent variety. Kits, on the other hand, have all necessary reagents prepared in a ready-to-use format. GoldBio’s InstantAmpTM Plant Direct Kit, for example, is as easy as adding your plant sample (young leaf, root or seed) to the master mix with primers in PCR tubes and running it through a thermal cycler. Kit efficiency is ideal for large-scale sample analysis where saving time is extremely important. Equipment needed to run dPCR is very standard. For plant dPCR, a plant leaf puncher helps provide consistent sample sizes across your procedure. Direct PCR can be carried out in PCR tubes and a thermal cycler programmed according to the manufacturer’s instructions. What Value Does Direct PCR Offer a Lab Compared to Traditional PCR? Save Time: In situations where analyses of massive amounts of individual samples is needed, the omission of the purification step can dramatically reduce experimental time. There is another aspect to timesaving, and that has to do with downstream methods that can only be performed after the upstream process is complete. By omitting a step and reducing process time, a researcher can move forward faster. Process Small Sample Quantities: Researchers often work with a tiny amount of precious sample. Classical DNA extraction can impose greater risk to smaller sample quantities. In forensics and anthropology, preventing sample loss can be especially important. One study reported a proportional loss of DNA collected from a variety of swabbing techniques to be between 20-76% during the extraction step. This loss is due to the series of wash steps involved in classical DNA purification. Elimination of the DNA purification step allows better conservation of material. Cut Costs: The amount of reagents used in DNA extraction can start to impact the budget, especially in large-scale situations. Extraction usually involves many buffers and reagents for optimization, detergents, phenol + chloroform, ethanol, digestion reagents, etc. When extraction is no longer factored into the equation, the reduced list of supplies can dramatically cut project expenses. There are also other costs involved when the purification step is involved such as cross contamination, prep time and sample loss. Applications best suited for dPCR include genotyping, transgene detection, knockout analysis, sequencing and forensic detection. Like any PCR technique, there will be advantages and disadvantages. Selecting a method depends entirely on supplies, material, project requirements, desired outcomes and other limitations.